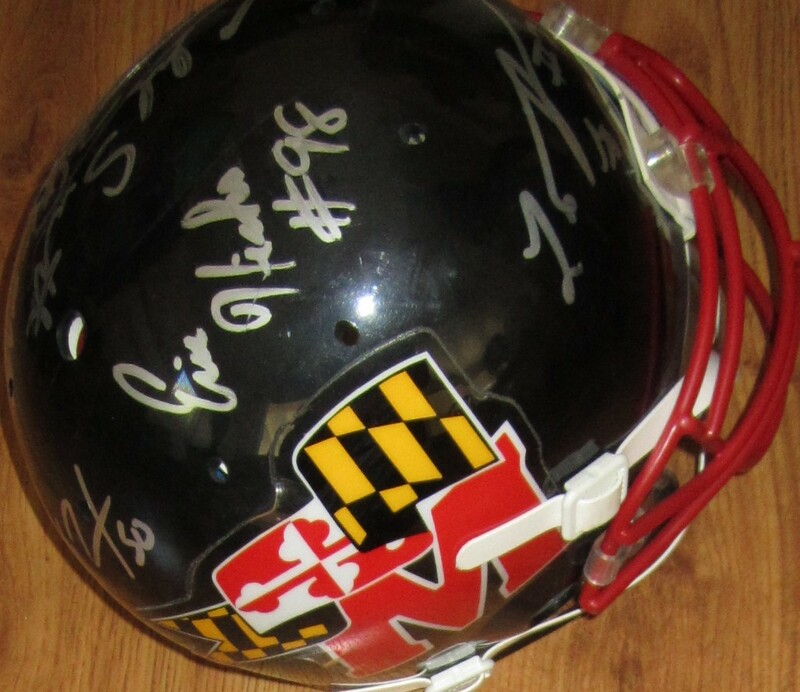 Black Maryland Terrapins 1997-2000 throwback Schutt Air full size AUTHENTIC GAME MODEL (NOT A REPLICA) helmet autographed in silver paint by former stars Eric Barton, Eric Hicks, LaMont Jordan, Jermaine Lewis and Chad Scott, all of whom enjoyed successful NFL careers. NOTE: helmet has minor age flaws and wear, and some signatures have minor rubbing or other flaws. 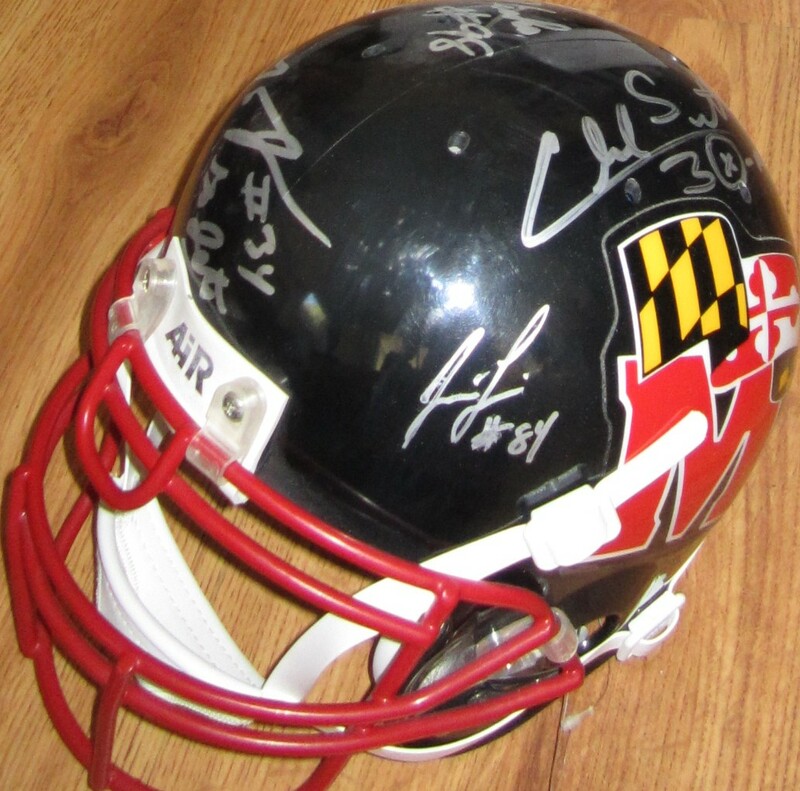 All five autographs obtained in person. With certificate of authenticity from AutographsForSale.com. ONLY ONE AVAILABLE FOR SALE.